If you’re on Francis Avenue and you head one block north on Wall Street in search of a transmission mechanic, you’ll have to chomp on a 100-percent beef burger instead, because Phil Costello, a Mead native and owner of Stop N Go Family Drive In, has leased the shop to house his company’s second location. The shop has been cleaned out, the equipment removed and the office extended into a seating area. Shiny chrome columns, black-and-white checkered flooring, red tables and white walls with black-and-red accents provide a sharp, retro style devoid of irony or kitsch. Cars pull in and out of the corner store with ease. Stop N Go’s emphasis is on drive-thru service, especially in the evening, when families are looking for a quick dinner, and later, when those returning from the neighborhood’s bars are looking for a quick snack. “We don’t use any crazy ingredients in our burgers. No preservatives. No ammonia. Just beef and fat. It’s as healthy as a burger and fries can get,” says Costello, who opened the original Spokane Valley Stop N Go in 2010. The menu also offers fish-and-fries or chicken-and-fries baskets ($4.50 each). For lunch, I opted for the fish meal and a single patty cheeseburger ($1.25). The burger was the perfect size for a kid or maybe someone needing a quick bite after last call. 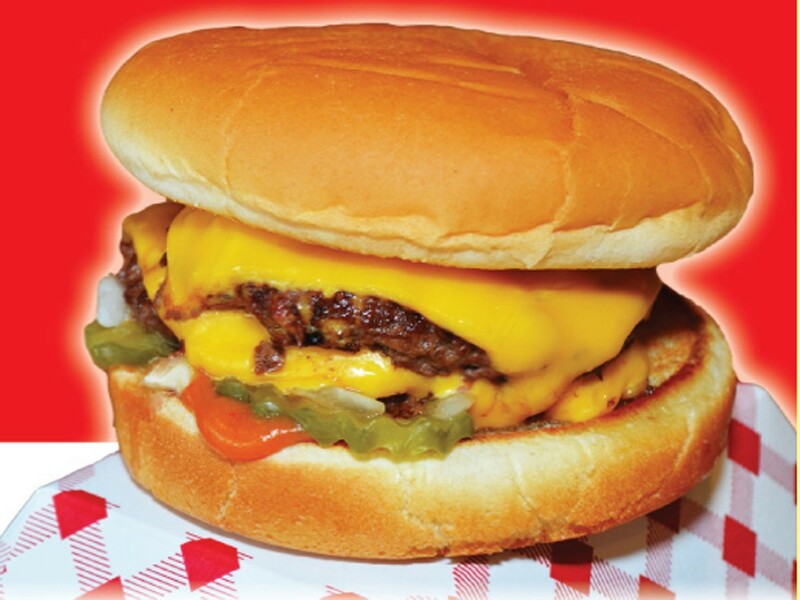 A double cheeseburger ($2.25) or triple patty ($3.25) would be just right for an adult meal. Each burger is topped with minced onion, pickles, mustard and ketchup. The fish basket contained hand-cut pieces of lightly breaded cod (with an optional fresh-cut lemon slice) sitting atop a bed of straight-cut fries. The fry sauce is distinctive, with an emphasis on smoke and heat rather than tomato and sugar, while the tartar sauce has a slightly more complex flavor than typical mayonnaise-heavy dressings.